Nikon's D5000 is a curious beast. It boasts an unorthodox model name, packs a strikingly unique display and aims at an atypically small niche. In a way, it's a poor man's D90, but stopping there would be selling this gem short. The D5000 kit, which ships with the same 18-55mm f/3.5-5.6G VR lens that comes bundled with the D60 kit, sports an MSRP of $849.99, placing it squarely between the aforementioned D60 kit (currently streeting for $549.95) and the D90 kit (which can be found for around $1,150). 'Course, the D90 kit lands you a nicer 18-105mm f/3.5-5.6G ED AF-S VR lens, a higher resolution rear LCD, a top-mounted display for showing vital statistics, a more rugged body and a few other internal upgrades. We've had some time to toy with Nikon's latest, and we've laid out our impressions just past the break. Join us, won't you? 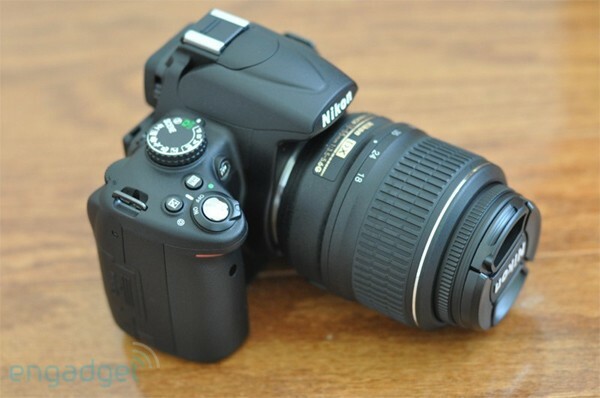 How would you rate the D5000? When compared to Nikon's mid-range D90 (just so you know, we'll be comparing these two throughout), the D5000 feels decidedly less solid. There's a little less rigidity, a little less heft and an overall feel that is best described as "plasticky." Not that we'd expect a so-called low(er)-end DSLR to be built like a tank (or the D700), but if you were hoping for something that could take a serious bruising, the D5000 ain't it. Also of note, the body feels smaller in the hand, and the limited placement of rubberized grips lets you know that you're playing with a piece designed for novices and amateurs. 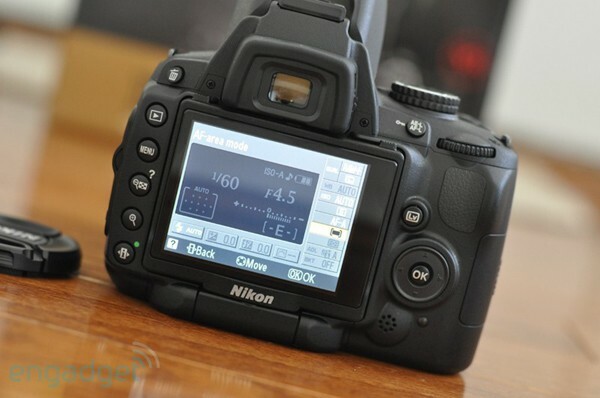 That said, we're still duly impressed with the overall feel of the D5000 considering its price. For a "low-end" shooter, it sure feels good to hold, and those brand new to the DSLR realm will definitely be happy about wrapping their paws around it. Those familiar with the Dxx line will immediately notice the similarities here, and by and large, it maintains the same "feel" that most Nikon fanatics swear by. One other change that was glaringly apparent was the relocation of the mode dial from relatively empty left side to the cluttered right side just above the on / off switch. To be totally fair, we did notice a few areas where corners were cut in order to keep costs down. For starters, the viewfinder was a bit awkward to see in, and the internal view itself just felt cramped compared to the D90. Also, we were initially bothered by the lack of a top-mounted display, but it's something we adjusted to with time -- after all, it's hard to not enjoy peering at the admittedly detailed rear screen for glances at ISO, image quality, white balance, etc. Generally, we wouldn't bother dedicating an entire section to a camera's display, but Nikon's D5000 doesn't boast your typical screen. As the company's first DSLR with an articulating display, we felt it prudent to break out our opinions on this in order to make clear whether this addition is useful or just uselessly pretty. The 2.7-inch Vari-angle display (230,000-dot color LCD) definitely pales in comparison (in terms of resolution, anyway) when placed beside the D90's 3-inch, 920,000-dot color monitor. But what it lacks in pixels, it makes up for in versatility, brightness and utility. Without question, the D5000's monitor is stunning. Colors are remarkably sharp, brightness is superb and visibility in broad daylight is absolutely outstanding. Which is good, considering that the whole point here is to eye this bad boy while out and about and in awkward positions. 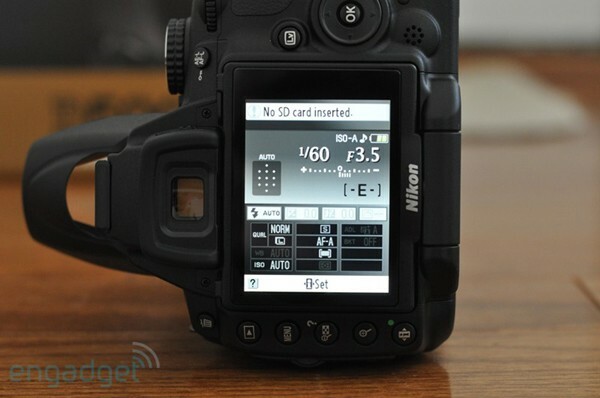 Nikon even thought to provide a remedy for the missing top-mounted LCD by implementing a highly detailed, wonderfully laid out GUI on the Vari-angle screen that shows off a smorgasbord of statistics. To name a few, it'll alert you if no SD card is present, tell you if the subject is too dark to adequately shoot and provide selectable options for viewing / changing the flash status, ISO, image quality, white balance, image size, release mode, focus mode, AF-area mode, exposure and F-stop. Seriously, this screen was a true joy to use, and while it took a moment to learn how to navigate to everything (a common issue with any new DSLR), everything made perfect sense and worked well. Also of note, Nikon actually chose to take advantage of the built-in accelerometer by enabling the objects on the display to rotate around as the camera is flipped. A nice touch, for sure. So, the question you're here to have answered: does an articulating display really make DSLR ownership that much more amazing? In a pair of words, not really. Being totally candid, the only time a movable display is really beneficial is if you're relying on Live View or if you're shooting video -- two things that we don't really envision most folks doing except on occasion. For starters, Nikon's Live View implementation leaves a lot to be desired. 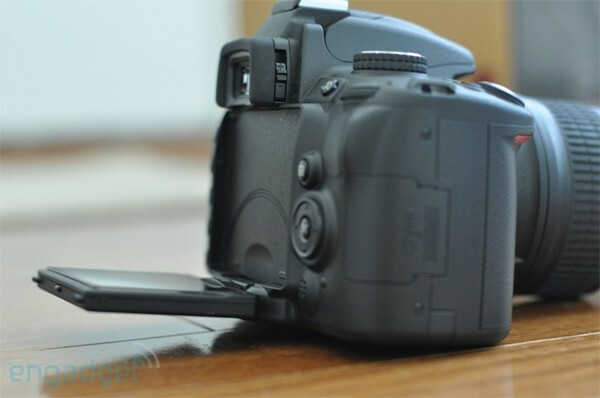 The noticeable shutter lag when snapping a shot via Live View is unacceptable in most situations, though we suppose less serious shutterbugs may not mind. For the sake of testing, we flipped out the display and lined up awkward shots via Live View, and as expected, we were able to more accurately frame things with the Vari-angle there to help. The movement of the hinge was just about perfect -- the gliding motion from one position to another was superb, and it held in place when we'd found the perfect spot. While shooting video -- which is still limited to 720p clips lasting five minutes or less -- we found it easier to shoot around bends and over obstacles, but we must caution you that it's darn near impossible to move the lens, readjust the Vari-angle LCD and manually adjust the focus ring in order to keep the blur from taking over your shot. In other words, this articulating display would be way, way more useful if the D5000 could continually auto focus while shooting video. Are you getting this Nikon (and Canon, while we're at it)? Continually auto focus while shooting video. As it stands, both Live View and video mode on the D5000 are lacking, and unfortunately for this amazing display, those two features are the best two (or only two, really) for taking advantage of a non-fixed rear monitor. 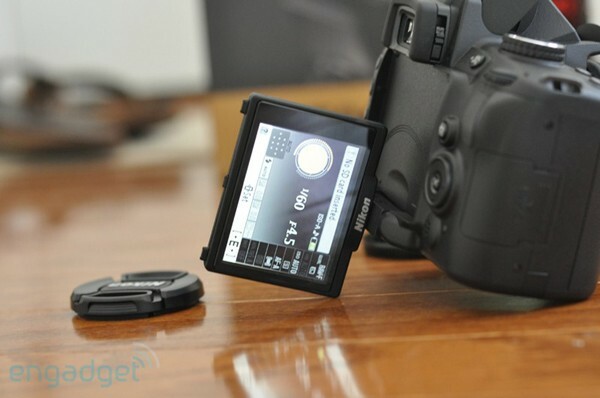 In many ways, the internals of the D5000 mirror those found in the D90. 12.3 megapixel sensor in both? Check. 11 area TTL autofocus on both? Check. ISO 200 - 6,400 on both? Check. 'Course, you will find some differences, with the most notable being the lack of an in-body focus motor on the D5000 and the pentamirror viewfinder compared to the D90's pentaprism. That said, it shouldn't be too shocking to hear that the image quality from the D5000 isn't too dissimilar from that of the D90. In most situations, particularly for novices sticking with the stock lens, the D5000's image quality will be more than adequate. In the comparison shots below -- which used the D5000's 18-55mm f/3.5-5.6G VR kit lens on both cameras -- the majority of the differences seen are from changes in lighting. From strictly an image quality standpoint, the D5000 holds its own for $850 (with a lens), and considering that you get the same sensor that's in the D90, it's tough to justify the extra cost if focusing solely on output. Don't take our word for it, though -- just have a look below to reach your own conclusion. Now, onto something we weren't so satisfied with: the video mode. As we stressed earlier, it's downright aggravating to think how awesome this 720p video mode would be if the camera could continually autofocus. As it stands, you'll need lots of practice (and lots of coordination) to pull off a video that's devoid of blur. Furthermore, there's still a five minute cap per clip; in case that's not sinking in, you can't shoot movie clips on the D5000 that are longer than five minutes each. Finally, the all-too-familiar "jelly effect" is out in full force here. When taking the camera for a leisurely stroll, our gait alone introduced an unmistakable amount of "wobble," making the video practically useless. Have a look at the clips below to see exactly what we mean. So, the bottom line. The final say. The wrap-up. Is the D5000 worth its weight in gold? Unfortunately, it's not really a cut and dry answer. For the DSLR newcomer, we view the D5000 as a perfect device for those willing to pony up the $850 (kit) / $729 (body only), but only if you're honestly not planning on utilizing the video mode extensively. We're exceptionally anxious to see what kind of performance Canon's rivaling T1i has in store, but alas, there's no way to compare those two just yet. Would we recommend this over the D60? Without question. 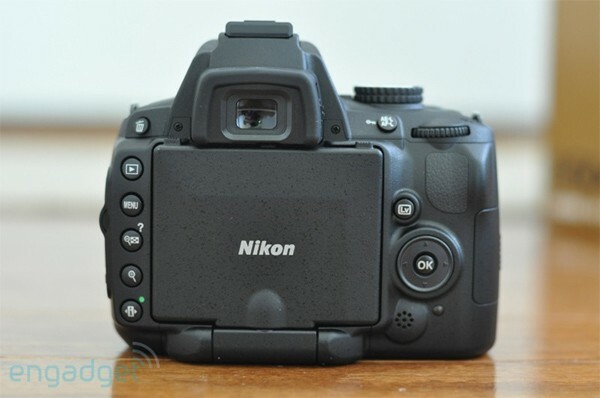 Essentially, you're getting a D90 sensor wrapped in a less sturdy / professional body for a few Benjamins less than Nikon's first DSLR to shoot HD video -- a fair compromise, if you ask us. Would we recommend this instead of the D90? Depends on your needs. If you're just looking to snap a few good shots of your kid playing baseball, the D5000 will do your memories proud enough; if you're hoping to make a few bones from shooting portraits and the like, you'll appreciate the D90's rigidity, top-mounted LCD, higher resolution LCD monitor and far superior kit lens (if you go the kit route). Either way, the D5000s a runaway winner for the price; indeed, the tough part won't be deciding on whether you should buy this, but if you should spend a bit more on the D90.